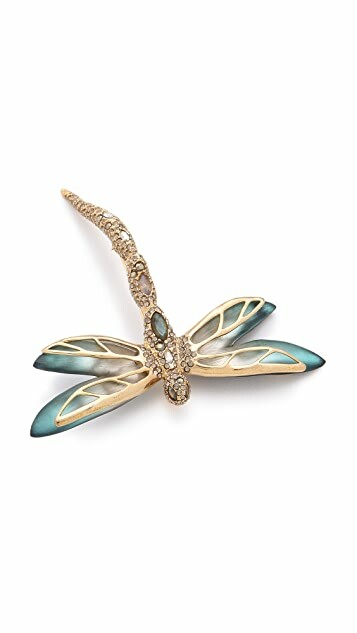 Ombré lucite wings lend an ethereal quality to this Alexis Bittar dragonfly brooch. 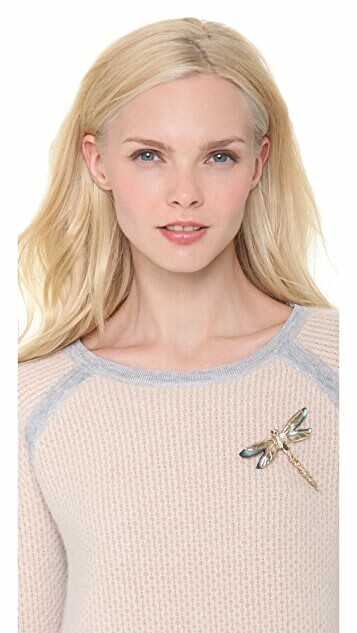 The Swarovski crystal-studded body adds elegant texture. Hinged-snap clasp.